I couldn’t be more proud. 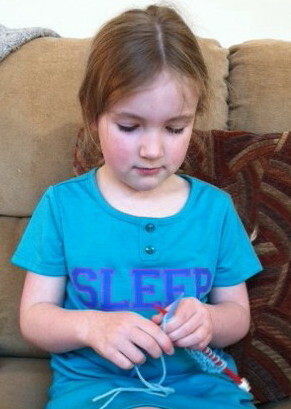 Ten minutes on a Saturday morning is all it took for her to inform me that soon she would be knitting faster (and better) than me. I bet she will. I have no DOUBT she will surpass us all!! !